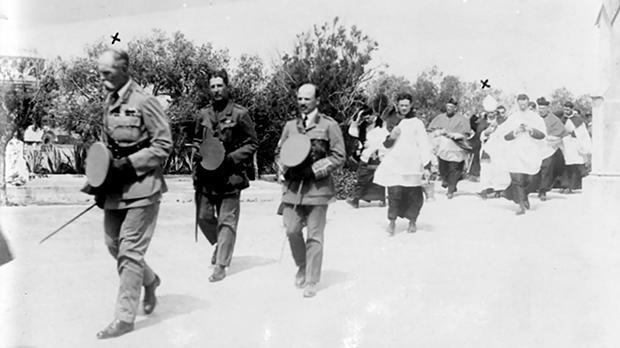 In January 1919 the Australian Historical Mission travelled to Turkey by way of Italy and Malta to clarify some of the unresolved questions relating to Australia’s participation in the Gallipoli campaign. 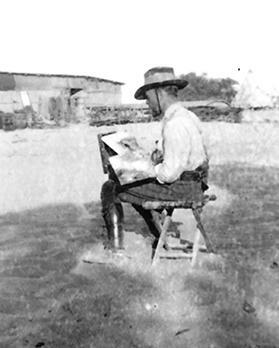 The all-Australian mission was headed by war correspondent and official war historian, Charles EW Bean (1879-1968), and included war artist George Lambert (1873-1930) as well as the photographer and geographer, Hubert Wilkins (1888-1958). The ‘mission’, as it came to be known, was entrusted to report on the state of the war graves of New Zealand and Australian troops in Gallipoli and to verify rumours that the Turks were using as fuel the wooden crosses that were serving as Allied grave markers. The ‘mission’ was tasked with collecting artefacts from the battlefield that would eventually be housed in the Australian War Museum and to retrospectively document the participation of Australian and New Zealand (ANZAC) troops in Gallipoli pictorially. The date of April 25, 1915, marked the first military action for ANZAC soldiers as independent dominions in a war that had already engulfed the rest of Europe. The troops had formed part of the expedition that set out to capture the Gallipoli peninsula in order to open the Dardanelles to the Allied navies. ANZAC forces landed on Gallipoli on April 25 and met strong resistance from the Ottoman Turkish defenders. They were forced to retreat from the peninsula by the end of the year after having suffered heavy casualties. Gallipoli had a profound impact on Australians at home as more than 8,000 Australian soldiers had died in the campaign. In 1916, the first Anzac Day commemorations were held on April 25 and one of the first local memorial services was attended by Governor of Malta Paul Methuen as well as Archbishop Maurus Caruana. Charles Bean, one of Australia’s most influential war correspondents, had originally accompanied troops at Gallipoli as a civilian in 1915. In an era where television did not exist, and radio and photography had not yet been sufficiently developed, war correspondents were avidly read by a public eager for news. 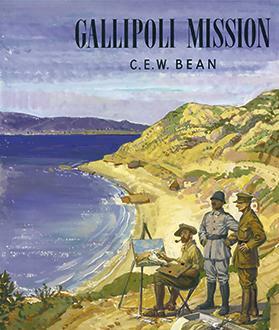 In 1918, Bean was engaged to write the official history of the Gallipoli campaign and to lead a fact-finding team to revisit the Gallipoli battlefields. 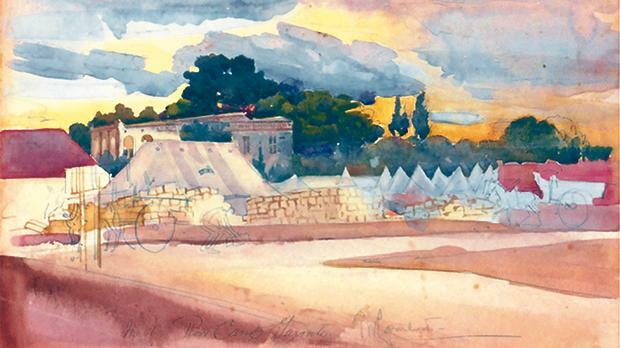 An Official War Art scheme in Australia was set up in 1917 and artists were appointed to document the activities of Australians fighting in Europe and the Middle East. As visual records made by ANZAC troops of their experience on the battlefield in 1915 were virtually non-existent, there was a need to fill in the gaps. Australian artist George W. Lambert was approached by both the Canadian and Australian governments in 1917 to work for them in an official capacity. Lambert was living in London at the time and had succeeded Frank Brangwyn as a teacher at the London School of Art. Lambert’s sociable character served him well and he proved to be a good choice as an official war artist. In 1919, Lambert was assigned to the Australian Historical Mission with a brief to make preparatory sketches for the large-scale paintings which would eventually hang in the Australian War Memorial. This was set up by the Australian government as a permanent site of remembrance and commemoration for those who had lost their lives in the war. Bean engaged the services of photographer Hubert Wilkens, and his brief, like Lambert’s, was to produce representations of the landscape across which Australian troops had fought. On the night of January 28-29, 1919, Bean, Wilkens and Lambert arrived in Malta to rest for three days on their way to Gallipoli. They had travelled across Europe and spent one night in Paris and Rome before overnighting at the Taranto rest camp on January 25. Taranto was an important Allied base during the Adriatic Campaign and it was from this Italian port that the ‘mission’ boarded HMS Asphodel bound for Malta. The latter was a minesweeping sloop which had been completed under the Emergency War Programme for the Royal Navy in WWI and was being used as a personnel and cargo transport. 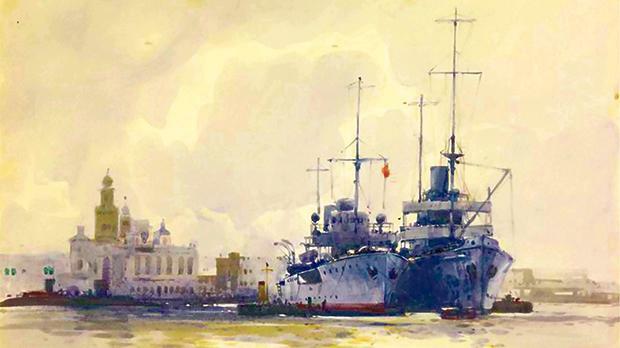 The Asphodel was immortalised by the brush of Frank Mason, a British war artist commissioned by the Admiralty to record naval manoeuvres in Grand Harbour in 1919. Since the crossing from Taranto to Malta took place in late January it was understandably not a comfortable one. Bean acknowledged the precariousness of the crossing and wrote in his journal that the team left Taranto from “still waters into whatever the Mediterranean has in store”. He succumbed to seasickness, but Lambert appeared to have a most robust constitution. Lambert’s sea legs served him well as he captured the inclement weather on the island in an oil-sketch entitled Storm Effect, Malta. This oil-sketch is one of the many small-scale compositions on cardboard the artist completed throughout his trip. Informal portrait of official war artist George Lambert at work sketching outdoors activities of Allied forces, 1918. Artist unknown. “Waiting for the first ferry to the Dardanelles we spent three days at Valetta. We stayed at Hotel Santa Lucia (nine shillings a day, all inclusive) and put in one night at the opera, Fedora. At garrison headquarters I happened to mention my instructions as to the Gallipoli graves and the adjutant-general’s staff suggested that I should visit those of the Australians buried at Malta. George Lambert, Charles EW Bean, 1924, oil on canvas, Australian War Memorial. The party left Malta after a three-day stay on the Princess Lena, which also operated as a ferry between Lemnos and Salonica. The ‘mission’ must have encountered rough seas once again, as Bean wrote on February 2, 1919, that “the wicked sea we suffered on our voyage from Taranto to Malta gave ‘the mission’ its sea legs”. The group transferred to another vessel upon arrival in Lemnos and then left for the Dardanelles. Over the next few weeks, Bean and his team visited the Gallipoli battlegrounds. They were joined by a Turkish officer, Major Zeki Bay, who shared his perspective of the 1915 campaign. Lambert produced many oil-sketches which would serve as ‘memory-notes’ for future paintings, but later admitted to his wife that he was affected by the gloomy mood around him as bones and shreds of uniforms from the 1915 offensives still lay scattered everywhere. The Graves Registration Unit teamed up with the Australian Historical Mission and worked diligently in the area to identify the remains of Allied soldiers while charting the known burial sites. Cooperation between both teams ensured that the passage of individual units involved in the 1915 offensives could be traced and the exact location where Australian soldiers had fallen four years earlier could finally be recorded. Between them, the ‘mission’ and the War Registration Team collected seven tons of relics. 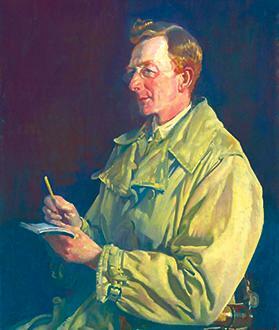 Lambert painted 30 small preparatory sketches he required for the larger commissioned works, and once the Australian War Memorial was established, the finished paintings, together with Wilkins’s comprehensive photographic record of the battle sites, assisted visitors to the Australian War Memorial to visualise past events. Caroline Miggiani’s research interests include art produced during the first and second World Wars and 20th century British artists who have a connection with Malta. An Anzac Day ceremony, possibly at Addolorata Cemetery. Governor of Malta Paul Methuen is marked by a cross in the left foreground and Archbishop Maurus Caruana is in the background, also marked with a cross. The photo is undated and the photographer unknown.